Recently I found the most gorgeous tan that I have to tell you about. 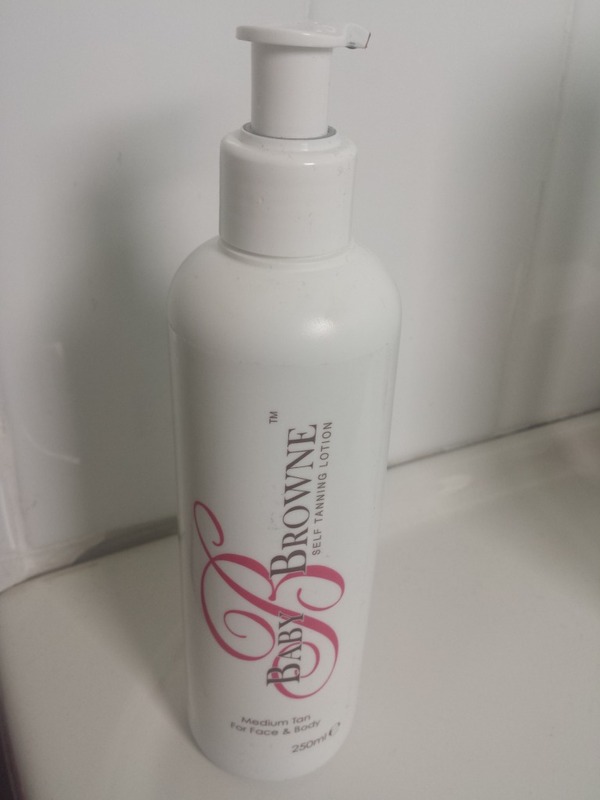 Baby B Brown is a beautiful natural fake tan which I used for the first time last month, when I went on my hols to Ibiza and I have been addicted ever since. It comes in a pump bottle and you just apply all over with a fake tan mitt. I ADORED the smell of this, it was really gorgeous and not like fake tan at all – more like chocolate! It went on really evenly and the guide colour was nice enough to wear by itself. The tan develops after a few hours and when you wash off the guide colour, you’re left with most beautifully natural golden tan which lasts for days and isn’t a bit orange! Also, no need to worry about the chlorine in the pool making it fade, it lasted well for me. When it does eventually fade naturally, it does so evenly so you’re not left with horrible patches that you have to scrub your skin red raw to get rid of! You can buy this online at Pink Sugar Sparkles online store (also check out her fab jewelly while you’re there!) And best of all it’s only €19.95! I would really recommend you check this out guys, let me know what you think if you do! 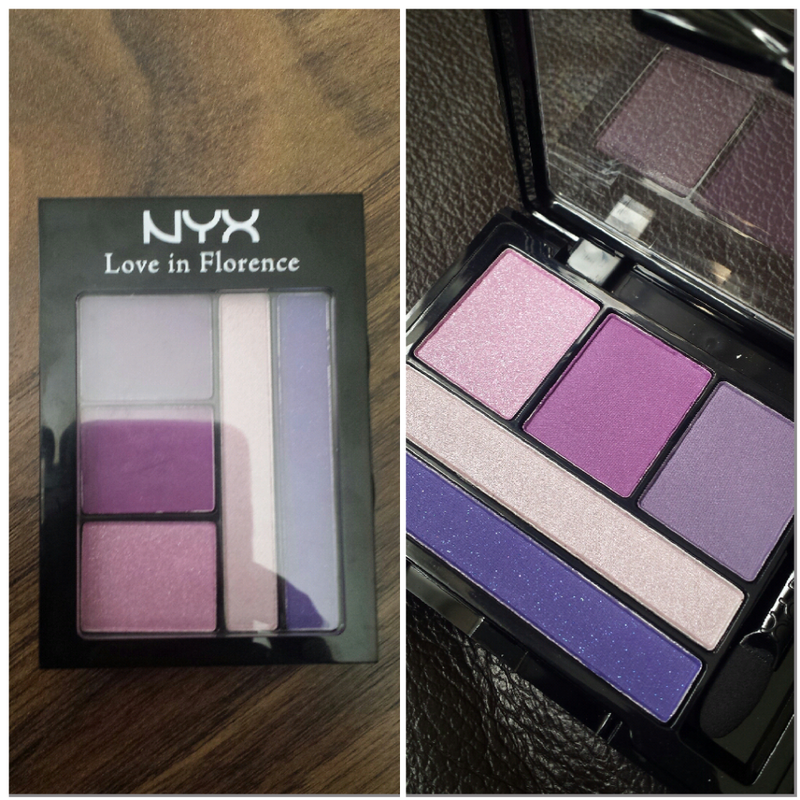 EXCLUSIVE – NYX Cosmetics Launches in Ireland! You may or may not have heard of US brand NYX Cosmetics but it is a popular brand of makeup which is widely available in US “Drugstores” and adored by Makeup lovers, Celebrities, Youtube Makeup gurus and Makeup Artists alike. It hasn’t been so easy for us to get our hands on the brand unfortunately – until now! I was super excited to hear that they are now stocking this in selected Pharmacies in Ireland as it really is a great quality brand! The collection includes everything from foundations and lip glosses to illuminators and primers, crayons and pens to shine controllers, all using a wealth of design innovations. Cult favourites include their eye crayons which provide a fantastic base for a smoky eye as well as their blushes and their fantastic eyeshadow shades which are often exact dupes of MAC shadows & blushes for a fraction of the price which I love! You’ll be spoilt for choice with this gorgeous purple eyeshadow palette which includes a good selection of hues that all compliment each other and blend perfectly. From other NYX Palettes I have tried, I have found that the quality of the shadows can be compromised a little in comparison to the single eyeshadows that NYX do but I didn’t find that to be the case here. I would always use an eye primer anyway but the shadows lasted all day and were just as vibrant at the end of the day as when I applied them that morning! I’m VERY impressed with this I must say! 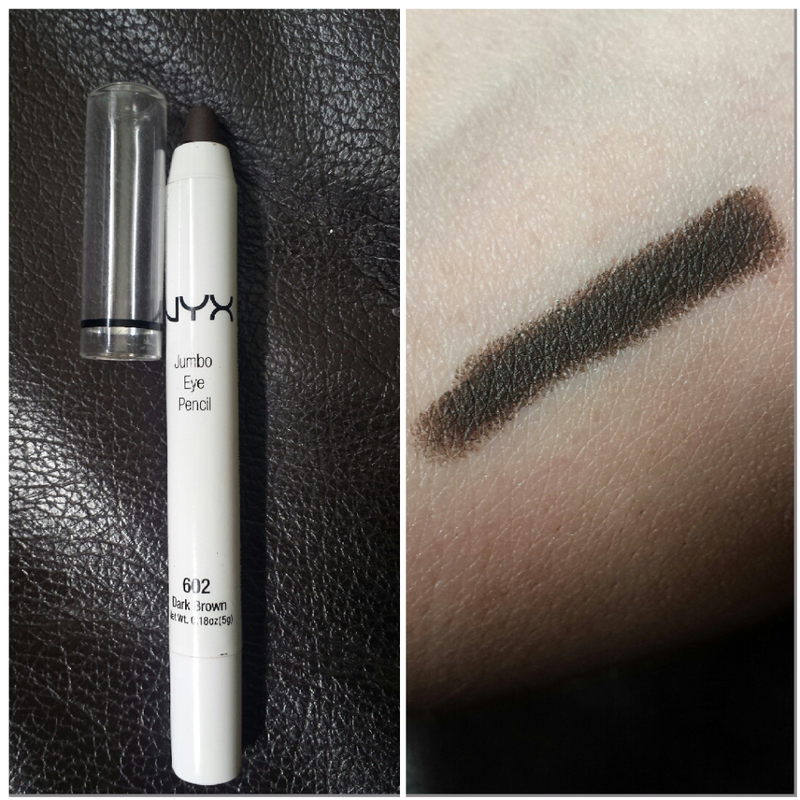 One of the things NYX is most known for is their Jumbo Eye Pencils which can be used alone as a shadow or smudged as a base for eyeshadow, if doing a smoky eye for example. It gives your eyeshadow fantastic staying power and extreme intensity. 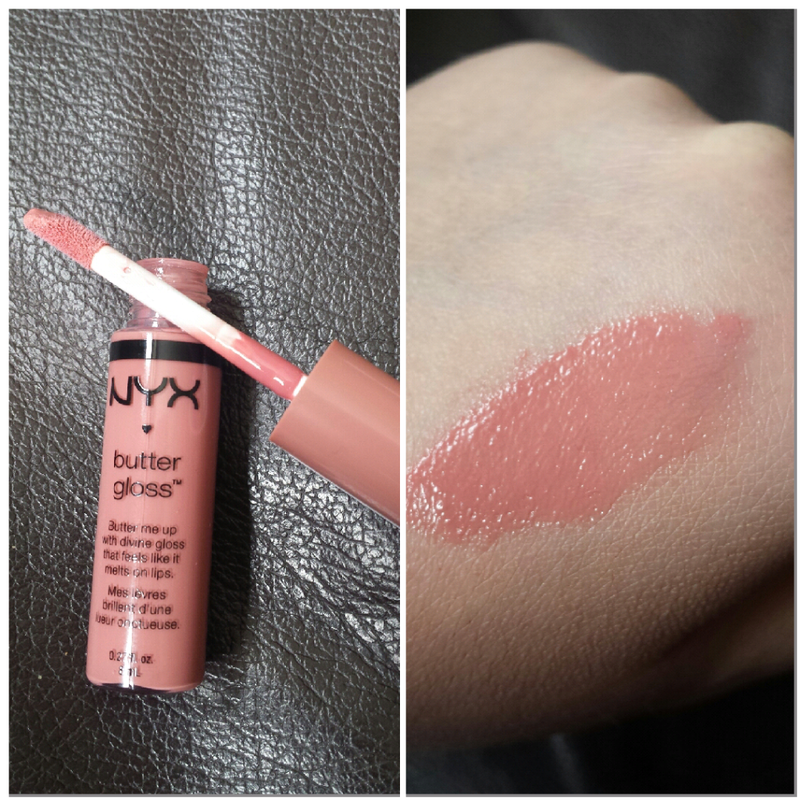 This wasn’t too greasy and blended really well without going all over the place which I loved. I definitely plan to pick up more of these to add to my collection as should any Makeup Artist! This pencil was an absolute dream to apply. 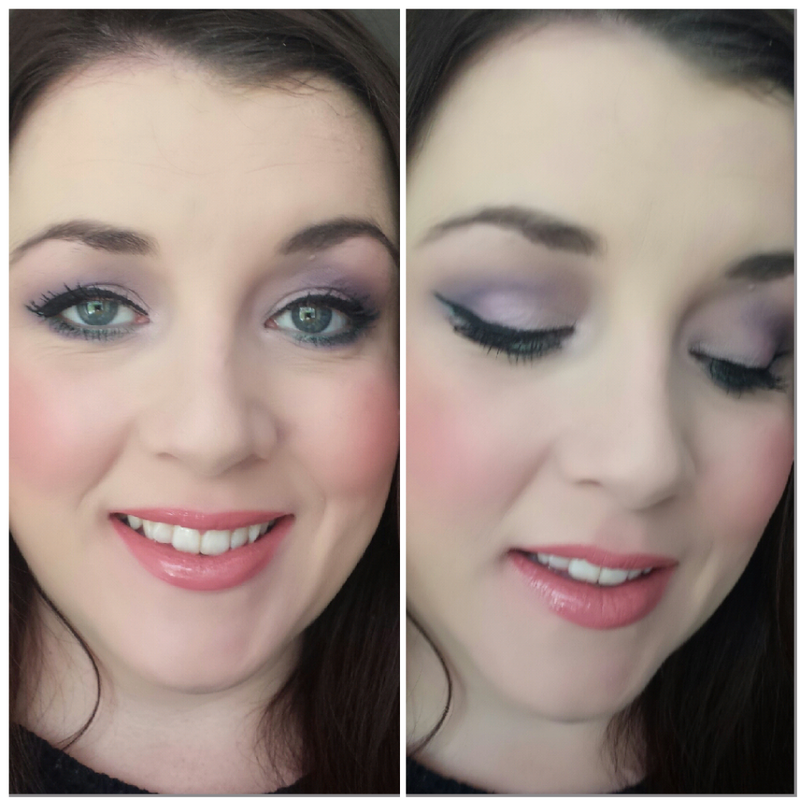 I put it on my lower lashline after using the purple eyeshadow and I loved how it looked (see below). The colour is a vibrant green and the finish is kind of metalic and it smudged really well into the lashline without fading away to nothing and lasted all day so I’m looking forward to getting some more of these in different colours. They would really give the Urban Decay 24/7 liners a run for their money in my opinion! 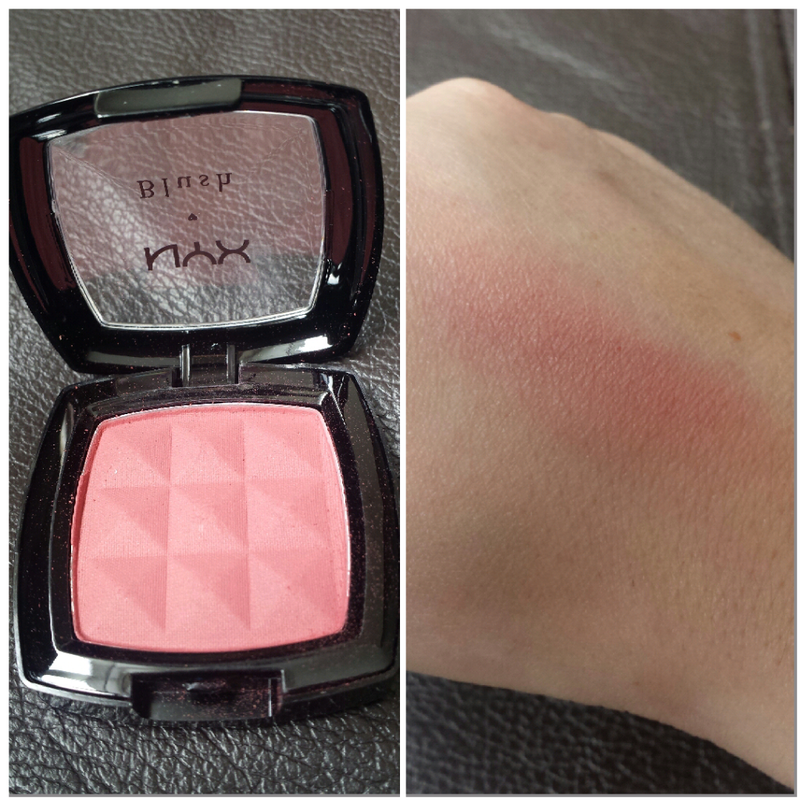 This blush is nothing short of AMAZING! The intensity of the pigment really surprised me. It’s quite a vibrant colour so I only needed the tiniest amount on my brush and it blended seamlessly so I didn’t end up looking like Aunt Sally! Again these are great dupes for MAC blushes and it’s well worth picking up a few as they come in a wide range of colours. 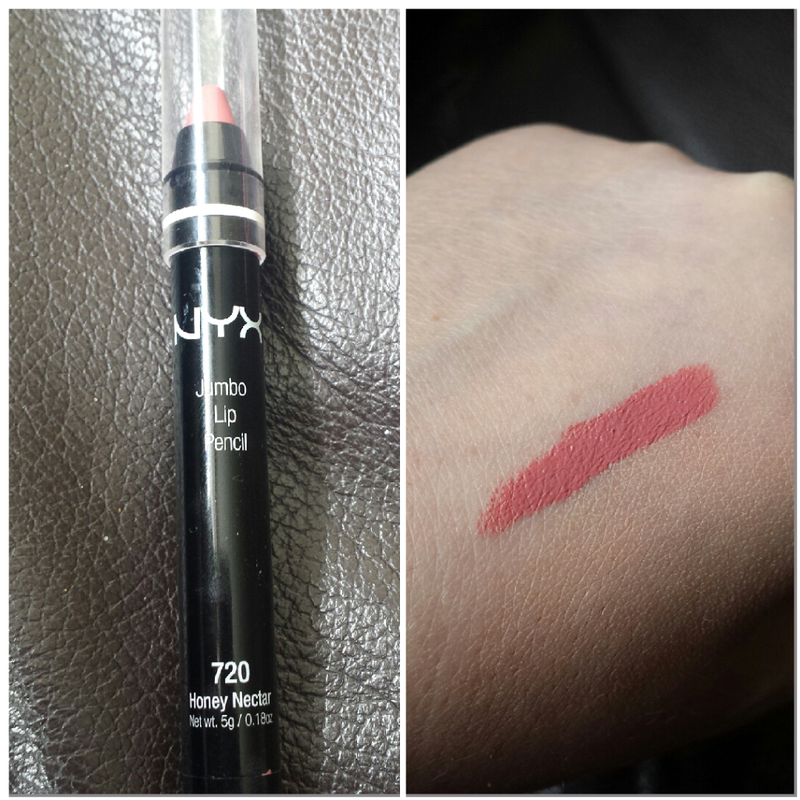 I really liked this lip pencil, it has a good dense colour with a slightly sheeny finish to it but yet it lasts well. However, I wasn’t a fan of the smell! It smells a bit “Chemical-y” which is slightly off-putting but I would be willing to let that slide as overall it is a good lip product. 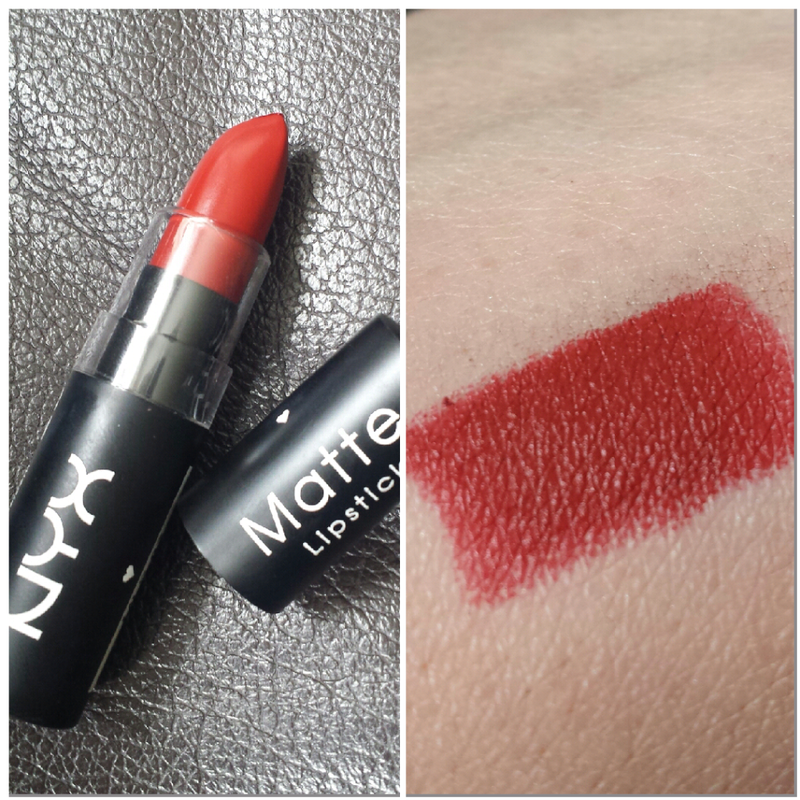 I loved this lippy, it’s from the Matte range so it’s longlasting when you apply it. The red shade was really nice too, quite an unusual red, more of a Brick colour, I really liked it and I loved the packaging. This is the look I created using the eyeshadow, eye pencil, blush and lip products. I thought it was really fresh and colourful and it reminded me that you can go a bit colourful for a daytime look, and the neutral lips were perfect with the pop of colour on the eyes. 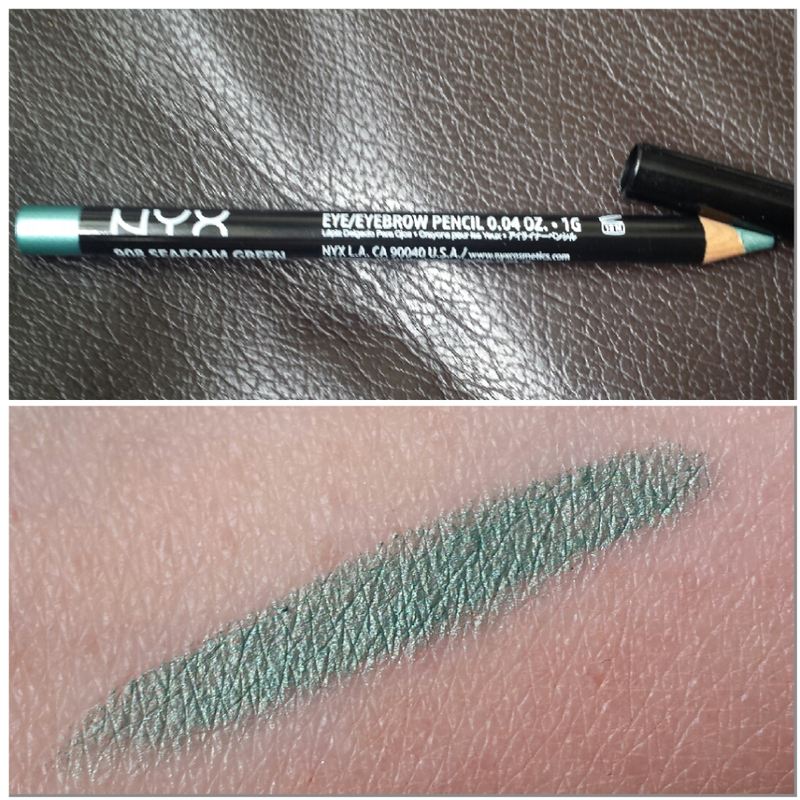 What do you think, will you be rushing out to buy NYX Cosmetics? Let me know if you have any favourites below.